Powell’s Books in Portland, OR dethrones Dawn Treader Book Shop in Ann Arbor, MI as the best SF collection I have ever encountered in a used bookstore (and remember, fewer and fewer books interest me as I collect more and more—if you did not already have a collection you’d be out hundreds of dollars!). I need to read more of Leiber’s work as I adored The Big Time (1958) and his short story collection A Pail of Air (1964). 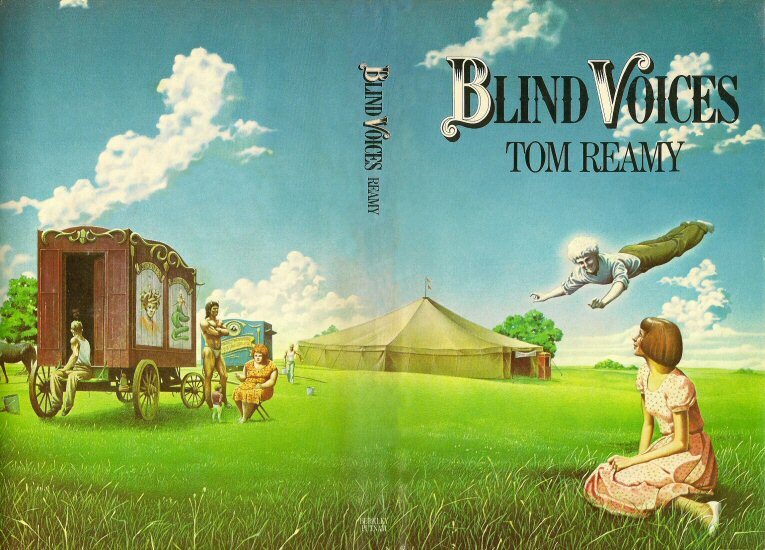 Tom Reamy died too young—right after publishing his masterpiece Blind Voices (received Hugo and Nebula nods in 1979 and second place in Locus voting). New author: Barbara Paul. Read anything by her? 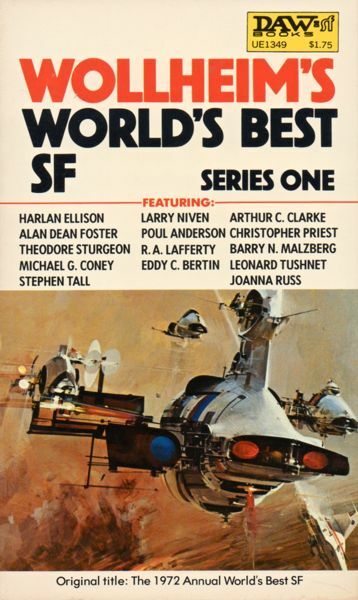 And, well, you all know my love affair with New Worlds Best SF anthologies… Links to my reviews: The Best SF Stories from New Worlds (1967) and Best SF Stories from New Worlds 3 (1968). From the inside flap: “‘It was a time of pause, a time between planting and harvest when the air was heavy, humming with its own slow warm music.’ So begins an extraordinary fantasy of the rural Midwest by a recent winner of the John W. Camobell, Jr., Award for best young science fiction writer. One summer day in the 1920s, Haverstock’s Traveling Curiosus and Wondershow rides into a small Midwestern town. Haverstock’s show is a presentation of mysterious wonders: feats of magic, strange creatures, and frightening powers. Three teenage girls attend the opening performance that evening which, for each, promises love and threatens death. The three girls are drawn to the show and its performers—a lusty centaur, Angel the magical albino boy, the rowdy stage hands—but frightened by the enigmatic owner, Haverstock. The girls first try to dismiss these marvels as trickery, but it becomes all too real, too vivid to be other than nightmare reality. 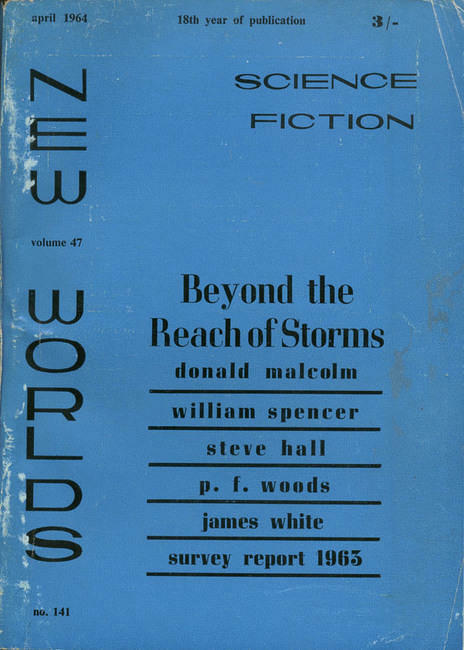 From the back cover: “NEW WORLDS MAGAZINE, publishing Now stories for Now people, dealing with a world of When. Michael Moorcock’s New Worlds is acknowledged as the most dynamic SF magazine in the world today, controversy-stirring and award-winning. 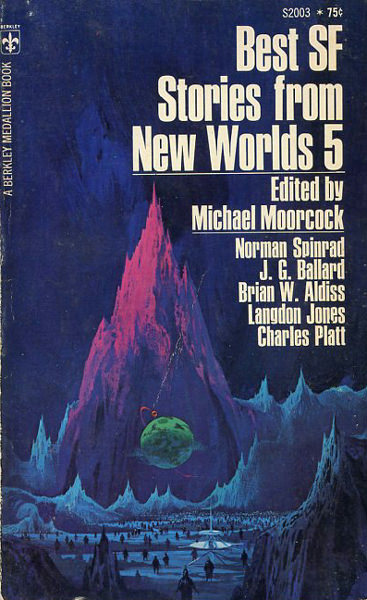 From the finest contemporary SF writing comes stories (and a poem) by Norman Ballard, J.G. 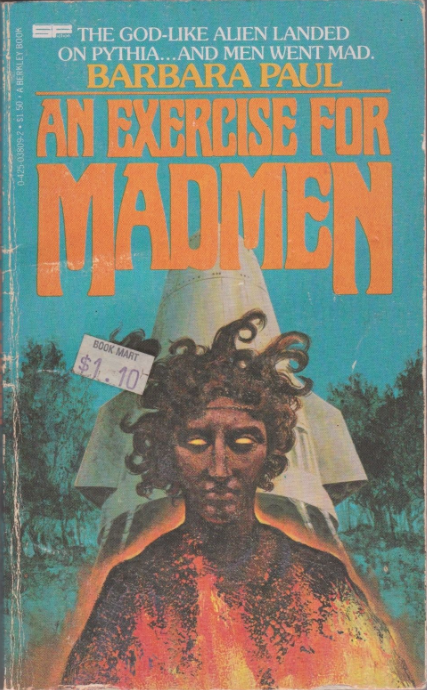 Ballard, Roger Zelazny and Danny Plachta, D.M. 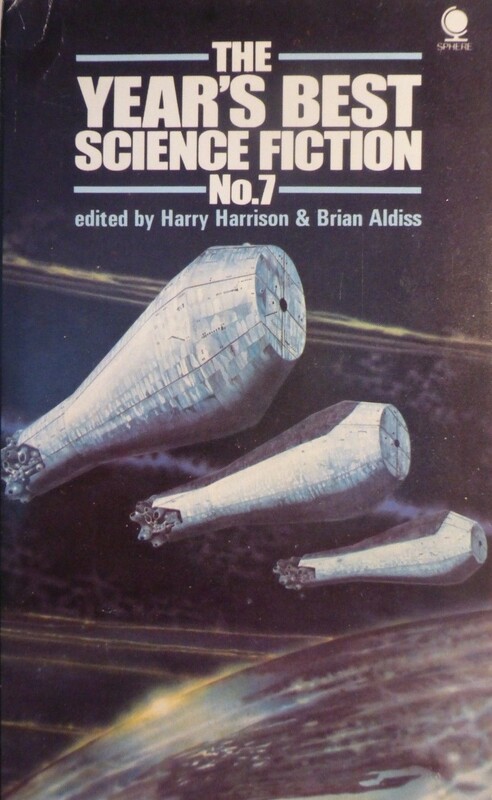 Thomas, Graham M. Hall, Brian W. Aldiss, Peter Tate, Langdon Jones, Christopher Finch, Giles Gordon, Charles Platt. Remember anything about Gather, Darkness!? Can’t get enough of Fritz. What a versatile writer he was! I haven’t read all of his yet because they’re so much of it about. But I’ll try and read all of it that I can. He’s that good. Having H.P. Lovecraft as a pen-pal mentor sure helped, same as it did Robert Bloch. But Fritz and Bob were both too good to let anyone dictate to them how they should write their things, not even HPL. Which is why they were and are good. And I agree with you also on Tom Reamy. It was just like what happened with Stanley Weinbaum, or my musical heroes Phil Ochs and Harry Chapin. It’s always too bad when the great ones die too young before they can show us more than just what they left behind. From your comment I suspect you’ve read Blind Voices? How was it? Haven’t got to that one yet. Read any of his short stories then? 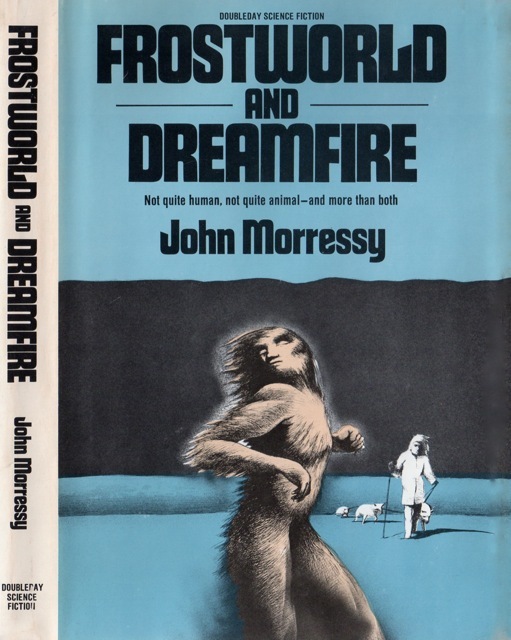 I like you how cover these older SF books. I was alive when these came out, and I remember the era, the style, and the feel. I adore the SF from the era despite most definitely not being alive — my parents weren’t even alive for most of the period I cover (they are products of the mid-60s)! 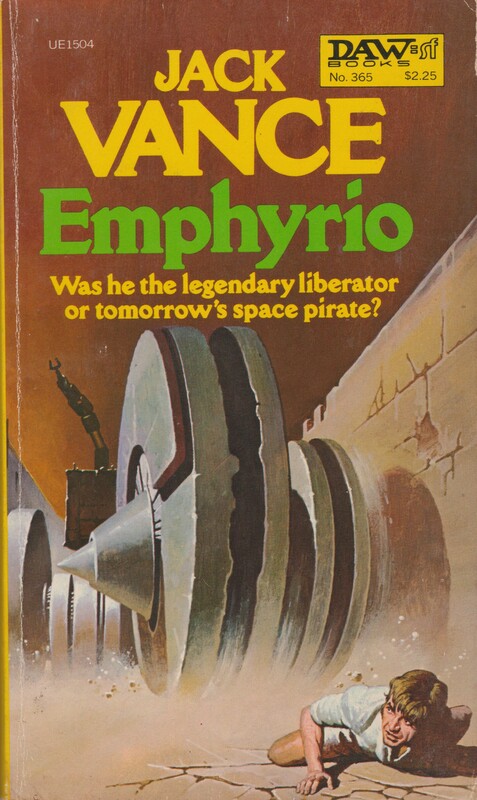 My father read some SF in the late 70s but, it was definitely a genre I developed a love of independently. I find that I get more out of the style of writing and the tone from that period than with most of what comes out now. I loved the Tom Reamy, and his collection of short stories. As I recall (rather dimly now) he died not long before publication. 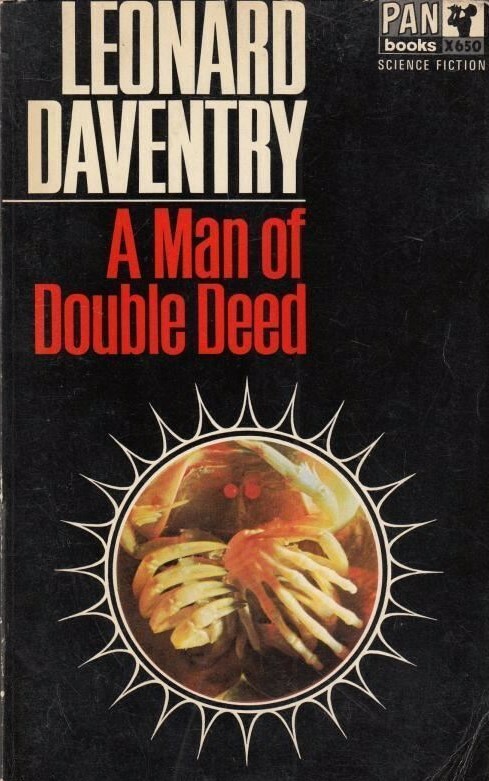 I enjoyed Gather, Darkness back when I read it (1972? 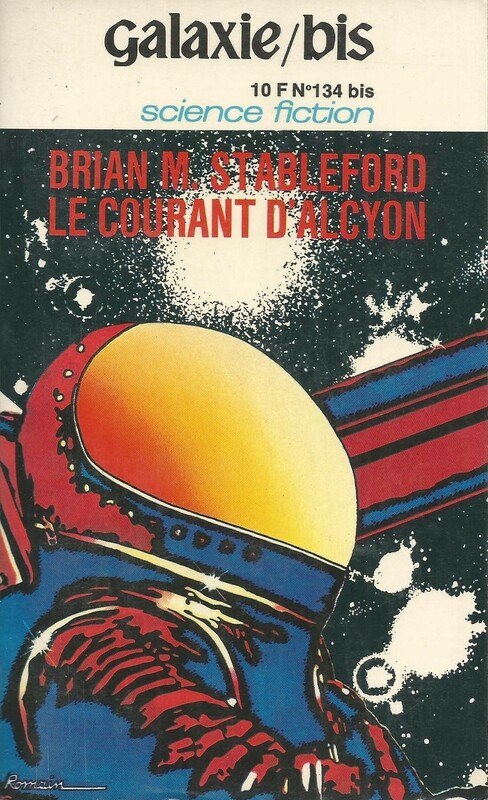 ’73?, iirc) but I came across it again several years ago and couldn’t really summon the enthusiasm to re-read it. I think the only book of his I’ve still got is Our Lady of Darkness. 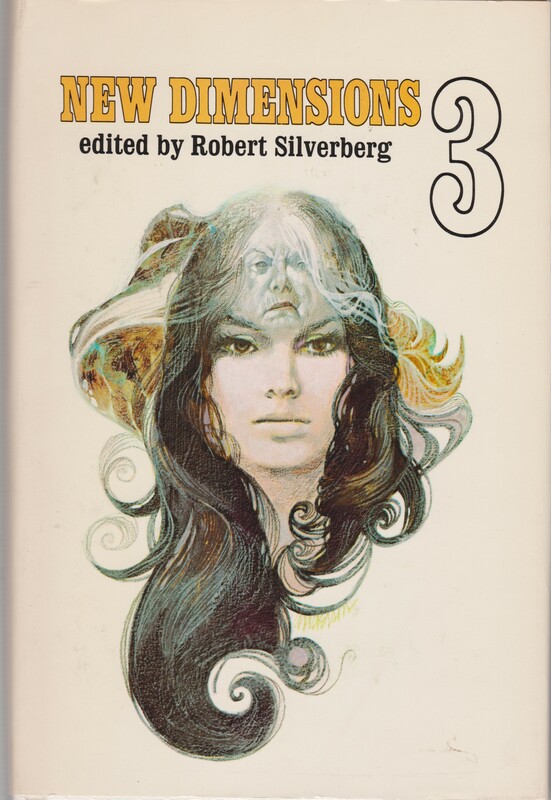 Don’t remember reading Barbara Paul at all; haven’t read the anthology either although I may have read the odd story. Looks to be a strong line-up though. Blind Voices seems to be a brand of SF/F I’d enjoy… And I love carnivals! I watched Nightmare Alley (1947) a month or so ago, it was amazing! I finished Blind Voices on the plane — slightly ambivalent towards it. Sometimes my opinions change when I write a review as I think through the work more carefully. I’ve never got on with Fritz Lieber’s stuff.I really didn’t like “A Spectre is “Haunting Texas”,and couldn’t finish “The Big Time”.I can’t remember anything about “Gonna Roll the Bones”,that was included in the “Dangerous Visions” anthology. I did like Tom Reamy’s “San Diego Lightfoot Sue”,even though I don’t recall much about the actual concept of it as piece of speculative fiction now.I’ve said it before,but I read it in the hardcover anthology,”Great Tales of Science Fiction and Fantasy” by Chandler Press,all of which first appeared in “The Magazine of Fantasy and Science Fiction”.It should have appeared elsewhere though I think. Gather, Darkness is pretty good, I’ve read it more than once. It’s gloomy, claustrophobic and moody – that’s what I remember, anyway. Not vying for a position as his best, but a memorable book. He’s always been one of my favourites, and I corresponded with him as a teenager. He paid it forward. 1950s SF that manages to be “gloomy, claustrophobic and moody” tends to resonate with me! I’ve been to Powell’s, an awesome bookstore. Snag a stack of goodies? I’ll have to hit Powell’s up if I’m ever in the neighbourhood of whatever city it’s in. I belong to the mailing lists of some places in San Diego and Minneapolis from the last time I visited them both. If they’ve got one I should probably follow up on them, too. Although there are numerous bookstores by the name Powell’s books, the one I am referring to is ONLY in Portland, Oregon (for example, there are two by the name in Chicago, IL but they were founded by his son and specialize more in rare and academic books and did not have the same SF collection — the son owns the stores in Chicago and Portland now). That city is important to the history of my beloved animation in two big ways. First, it was the home town of the greatest animation voice actor of them all, Mel Blanc, who perfected his craft living there. And then, later on, it was the home of Matt Groening, creator of the all-mighty “Simpsons”, who allegedly took a lot of the setting and character names from the streets in town. To say nothing of the city’s great NBA team, the Trail Blazers. And Oregon as a whole seems pretty interesting. Another favourite television animation program, “Gravity Falls”, is set in a fictional place within there. I’ve been to Washington and California, but never Oregon. One of these days I’ll have to convince my parents, my regular travel partners, that we’ll have to give Portland a try. I wrote Portland in the first line of my post — hence my confusion/explanation…. Oh, yes: Powell’s. I grew up about 30 miles south of Portland, and whenever I could (once I got my driver’s license) I used drive up and pretty much spend the day there. And whenever I visit Portland (not often enough) I always make it a point to stop by. Nothing beats a bookstore that covers an entire city block. 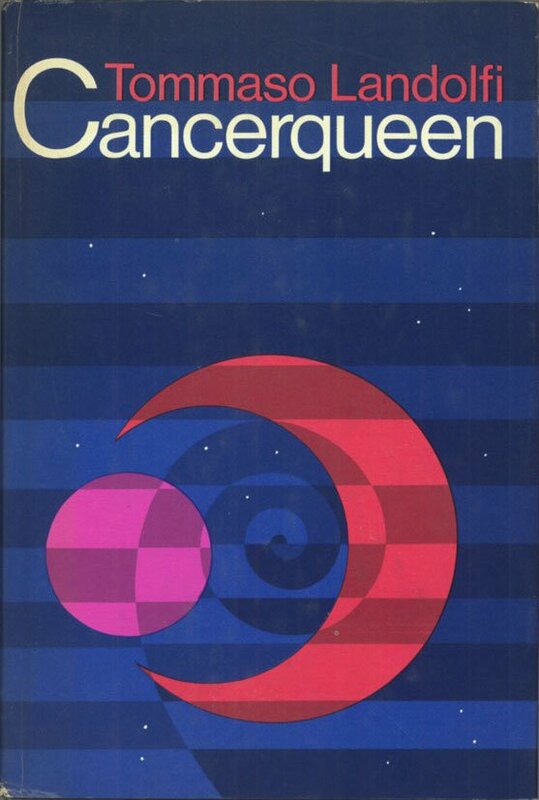 However, there are actually better used bookstores in Portland for finding the kind of stuff you like (old SF paperbacks from the ’60s, ’70s and ’80s), mainly Cameron’s, across the bridge on the other side of the Willamette River. 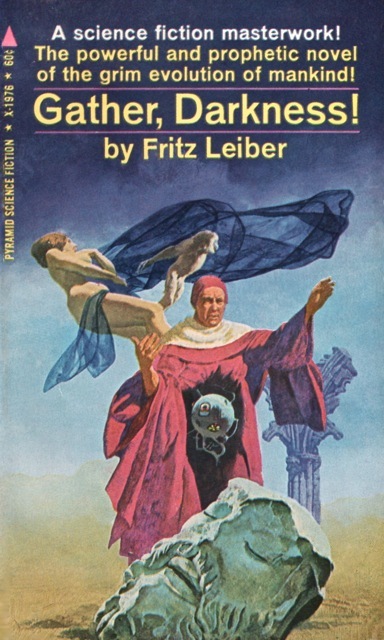 Leiber’s Gather Darkness, by the way, is really quite good. I think you’ll enjoy it. And the cover on that edition you snagged is much better than the one I have. It has been some time, ok years, since I read Gather Darkness, but I remember enjoying it. 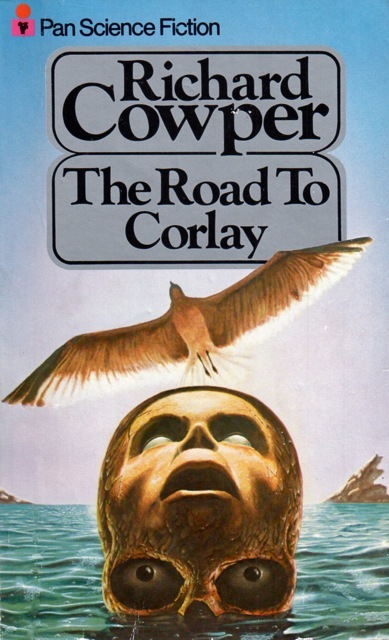 I read a number of novels at the time that provided twists on resistance movements, works like Heinlein’s Sixth Column or religion as a cover like some of Piper’s Paratime stories and I thought Gather Darkness a superior example. Maybe not as serious a work as Big Time, but a good adventure yarn. Anyone else creeped out by the “Blind Voices” cover? The book is way more creepy…. Ah, I had no idea there was an earlier adaptation! Thanks! (although, it probably does not exist with English subtitles…). Yeah… that’s probably the case, but you never know… some ardent Werner Herzog fan (he stars in the film) might create one with ENG subs. I will look! 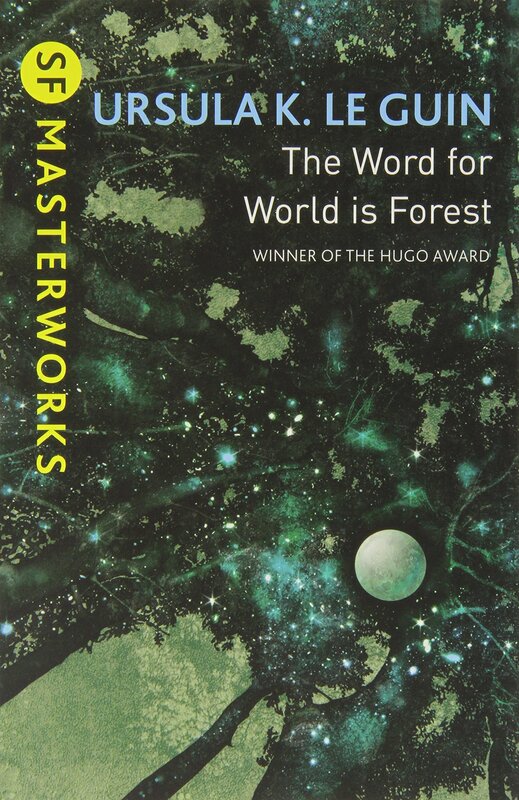 I am a fan of Herzog myself….